Introduced for the 2012 model year, the Subaru BRZ and its twin, the Scion FR-S, represents a joint venture between Subaru and Toyota, creating a boxer-engined, rear-wheel drive sports car that enthusiasts are clamouring for. 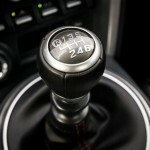 The aim was to create a light weight, free-revving, responsive coupe complete with the dynamics of the “good old days”. 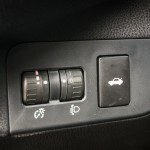 Many complain that modern cars disconnect the driver from the whole experience, with numb steering and lifeless powertrains dotting the automotive landscape. 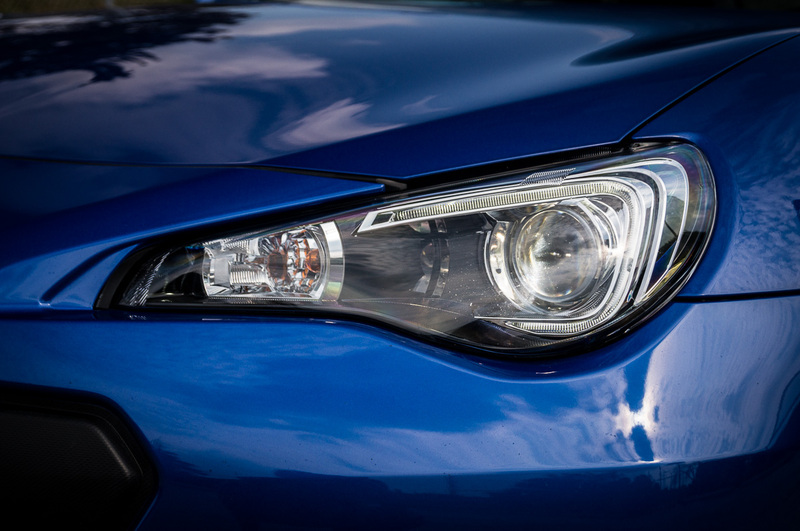 Not wanting to perpetuate the automobile as an appliance, Subaru sent over a 2016 Subaru BRZ in Sport Tech trim, finished in the traditional World Rally Blue Pearl. 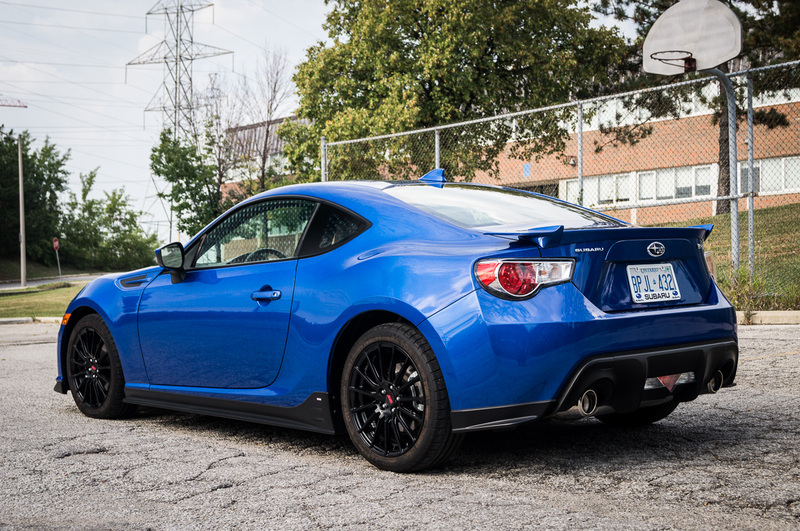 The exterior styling of the BRZ is aggressive, but still manages to be inoffensive. 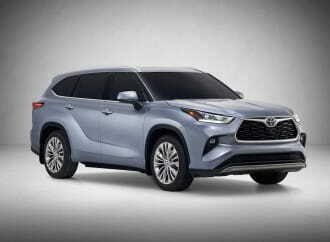 The combination of curves, angular lines, and a happy-face grille all imply serious business, without scaring away young children. 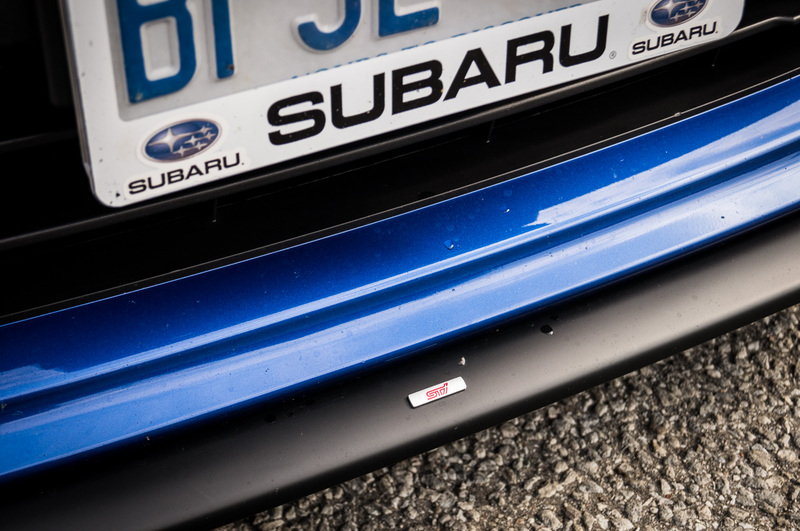 Subaru’s test car was equipped with several accessories. 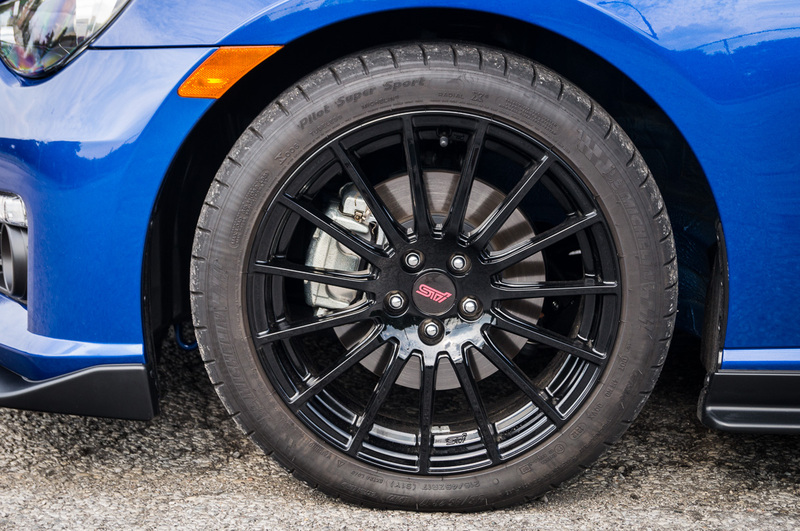 A set of black 17” aluminum alloy wheels and a complete set of black underbody skirting – all with their own STi badging – help to create some contrast with the black and blue effect. 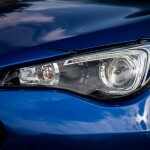 The Sport Tech trim level also adds illuminated side mirrors and halogen reflector fog lights. 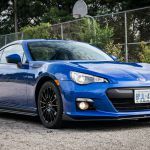 On the inside, the BRZ is quite utilitarian, and it quickly becomes clear that Subaru and Toyota diverted their attention towards chassis development and the overall driving experience. 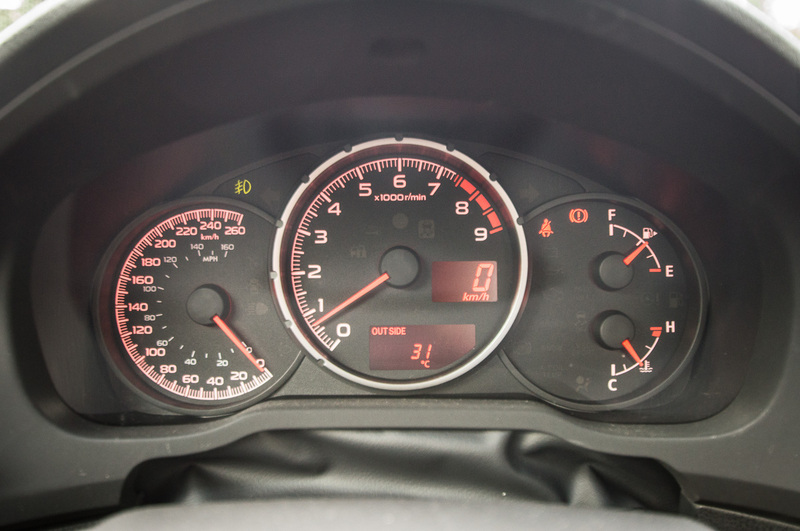 On the plus side, a large tachometer greets drivers on the gauge cluster, with a smaller digital speedometer taking a secondary role. 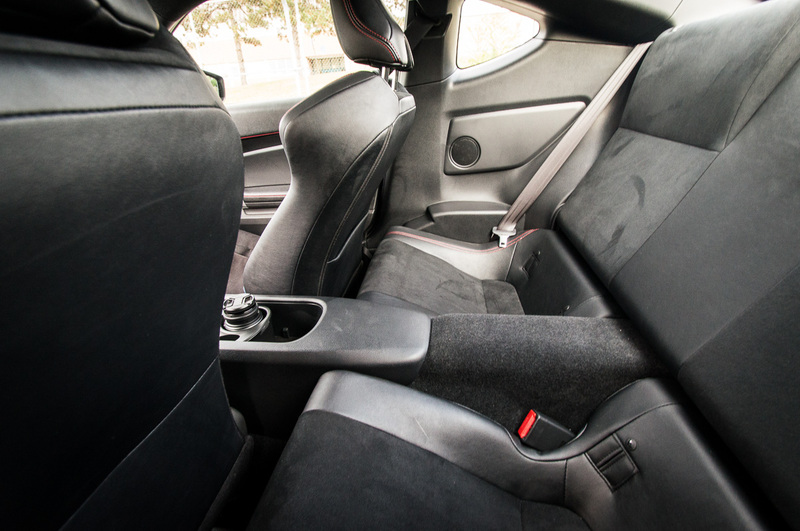 The red stitching on the seats helps to break up the expanse of gray and faux carbon fibre, but the touch points and hard plastics leave a little to be desired. 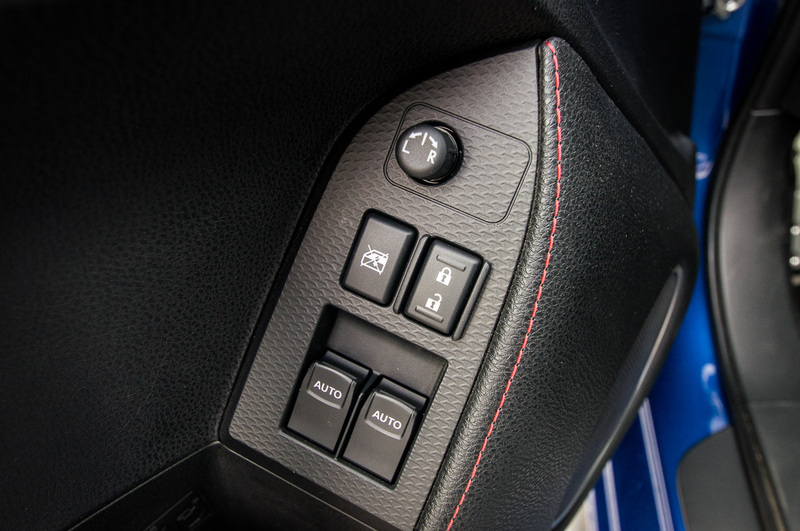 The leather-wrapped steering wheel feels better than the rest of the interior, but still lacks controls for even the most basic functions, including radio volume. 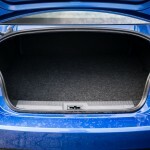 The heavily bolstered bucket seats provide ample support during lateral acceleration action, but taller or larger drivers may find the BRZ uncomfortable for longer trips. 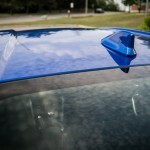 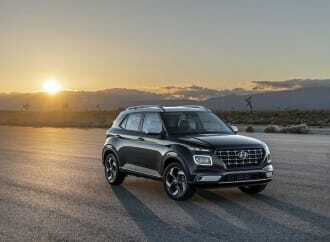 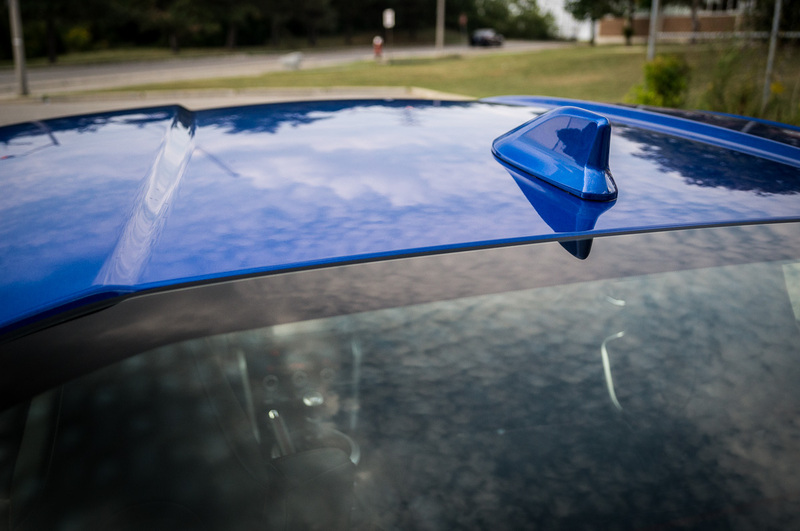 Additionally, visibility to the side and rear are hampered by the body lines, which make maneuvering a little more difficult in all regards; there is also no option for a rear view camera. 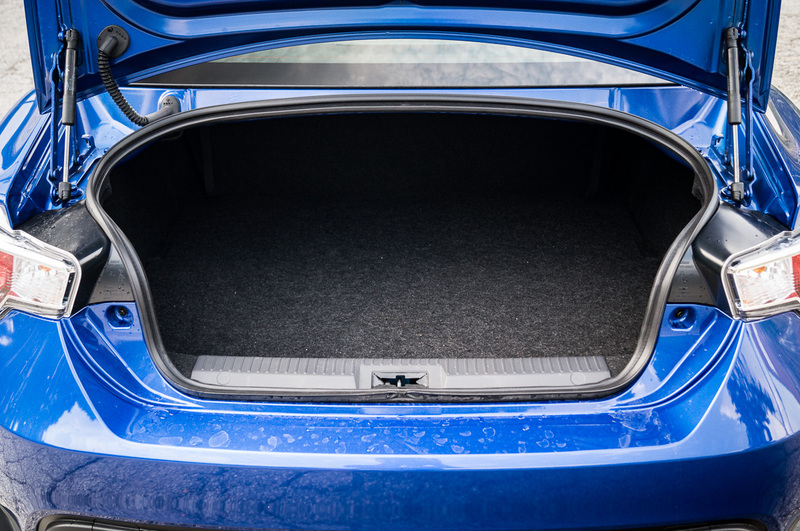 The rear seats, although capable of handling two passengers, should not be used for anything more than cargo storage. 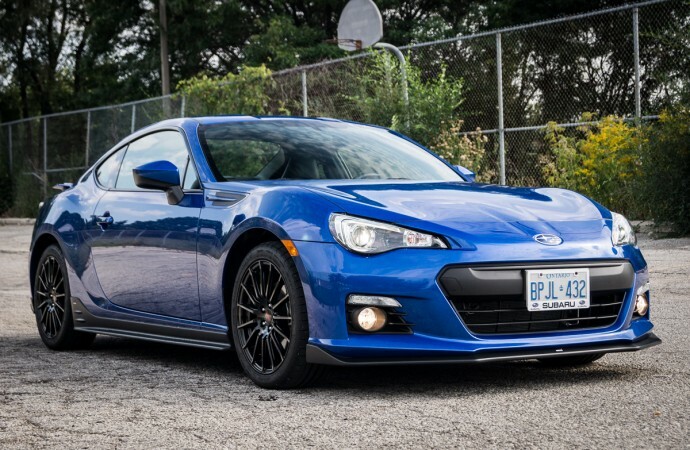 Thankfully, when folded down, the BRZ will happily accept a set of four wheels and tires, which is a huge perk for those who intend to take their car to the track with dedicated racing rubber. 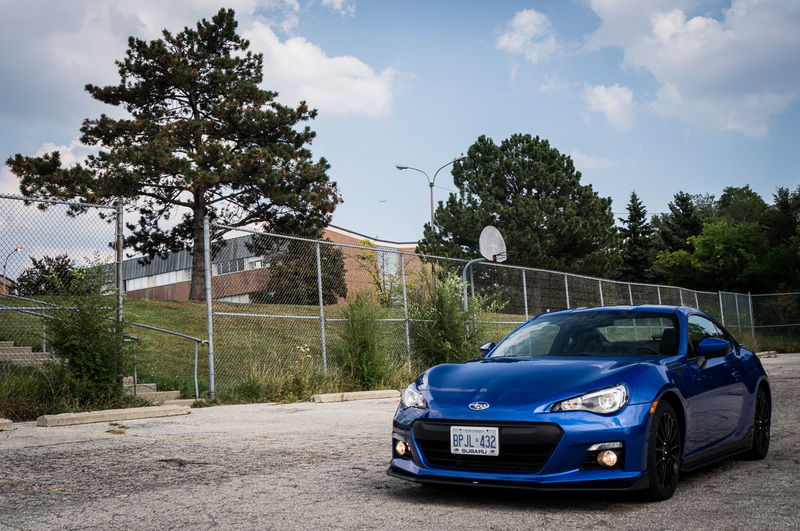 In terms of infotainment, the Subaru BRZ features a navigation system, complete with SiriusXM satellite radio, USB/iPod integration, and full Bluetooth capability. 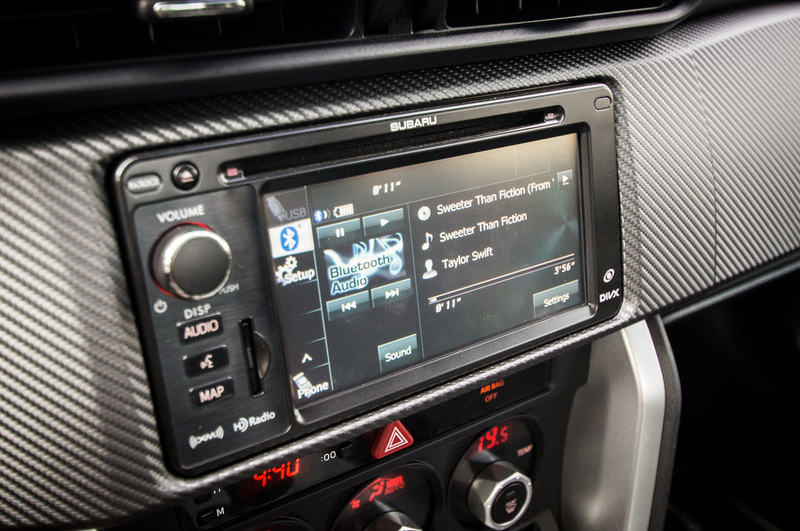 The eight speakers provide enough kick for when the driver doesn’t want to hear the boxer engine, but the touch screen interface is somewhat frustrating. 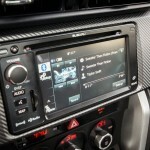 The screen resolution isn’t very high, the menu interface feels cramped, and poor touch screen accuracy leads to frequent erroneous selections. 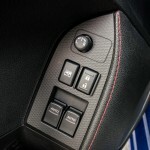 Thankfully, the heating and air conditioning controls are straightforward to use and work well. 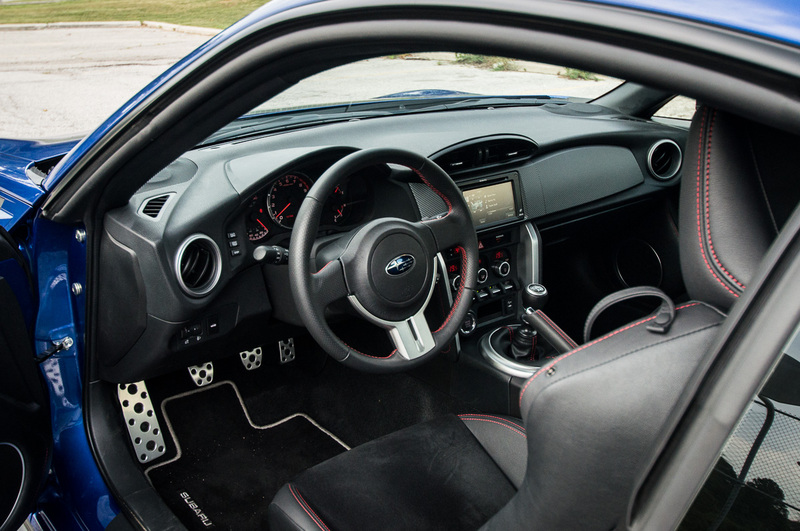 Even though the BRZ has an interior that falls a bit short, most potential buyers don’t necessarily make their purchasing decision on the interior alone. 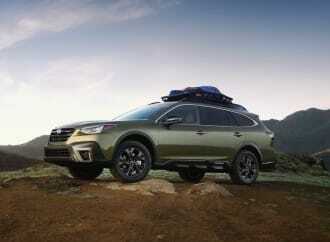 The main attraction is the handling experience, which Subaru happily delivers on. 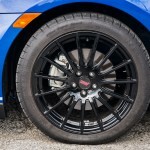 Outfitted with P215/45R17 Michelin Pilot Super Sport summer-only tires, the Subaru enjoyed grip levels that are able to rearrange an internal organ or two. 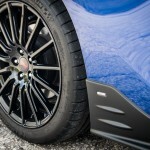 With MacPherson struts up front and a double wishbone setup in the rear, everything stayed very well planted and predictable, with only a slight squiggle to remind drivers that the limits are approaching. 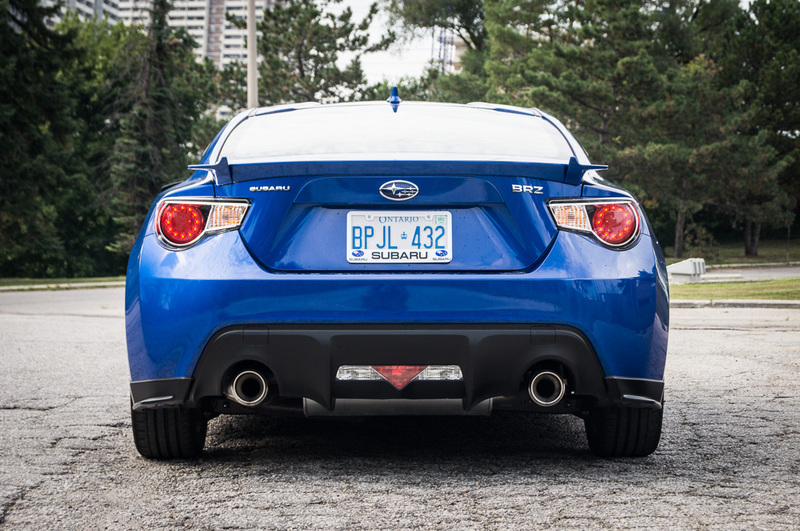 Compared to base models equipped with performance all-season tires, the BRZ lost a bit of tail-happiness and its willingness to slide, but this translates to being the overall faster car when lap times matter. 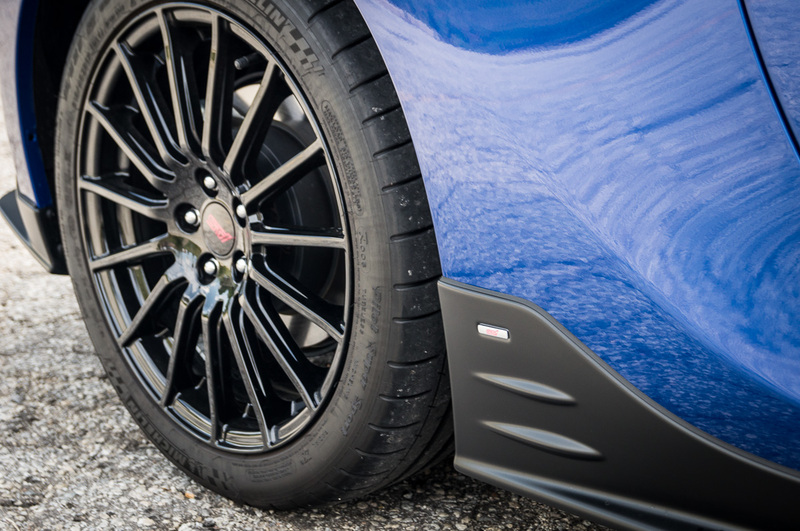 Tire choice alone will allow drivers to pick the personality they want – the all-seasons provide a hyperactive, playful puppy, and the sticky summer rubber turns the Subaru into a no-holds-barred track beast. Another area that the Subaru BRZ excels in: all the feels. 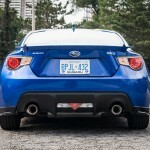 In addition to the great suspension tuning, the Subaru exhibits good steering feel from the electrically-assisted rack. 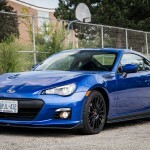 Compared to many other vehicles with numb electric-assist, the BRZ gives good feedback about the status of the front tires, making a push to the limit considerably easier. 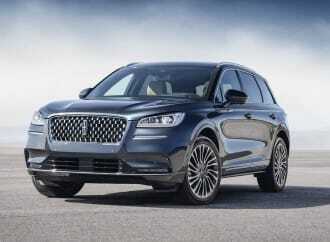 Brake feel is also good, with a firm, linear pedal that inspires confidence. 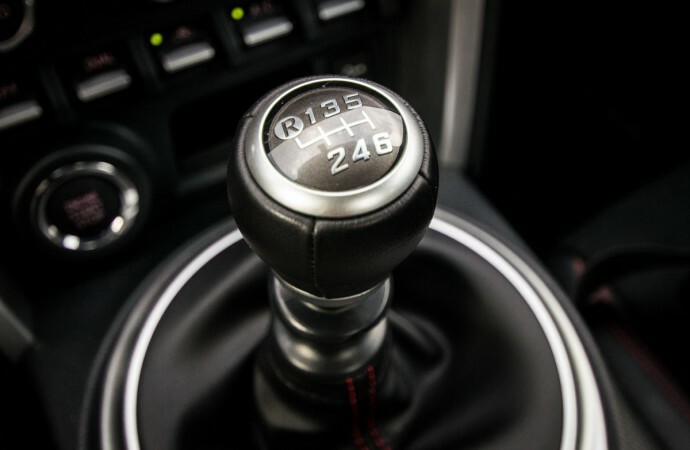 Clutch feel with the six-speed manual is aggressive, and it will take less-experienced drivers a little bit of time to get used to the engagement points – the first few kilometres won’t be the smoothest. Heel-toe downshifts are easy, and shifter feel is good, with accurate throws. 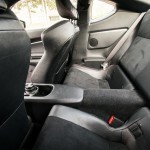 Lastly, ride quality is stiff, but positive feeling and long trips shouldn’t be a back-breaker. Equipped with a 2.0L, four-cylinder engine in a horizontally-opposed boxer layout that’s both direct and port fuel injected, the Subaru puts out 200 horsepower at 7,000 rpm, and 151 lb-ft of torque between 6,400 and 6,600rpm. 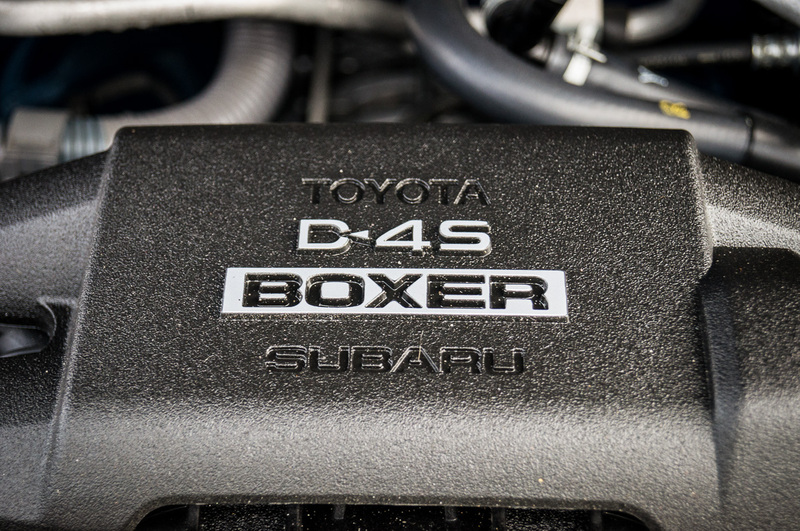 With a redline of nearly 7,500 rpm, the boxer is more than willing to scream all the way up the rev range, and encourages shifts with the short gearing. 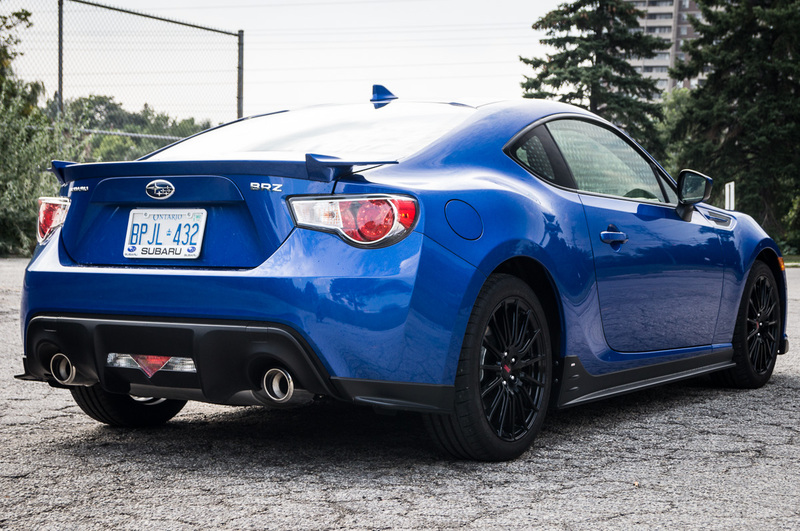 The lower torque levels require frequent shifting to keep the engine in the sweet spot, but the BRZ rewards drivers who seek to push harder. 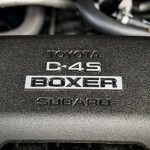 The soundtrack that the engine provides is a little bit gruff, but not particularly rude. 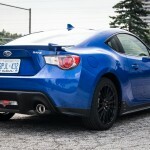 In terms of fuel economy, the BRZ proves to be reasonable at the pump, but requires 93 octane premium fuel or better. 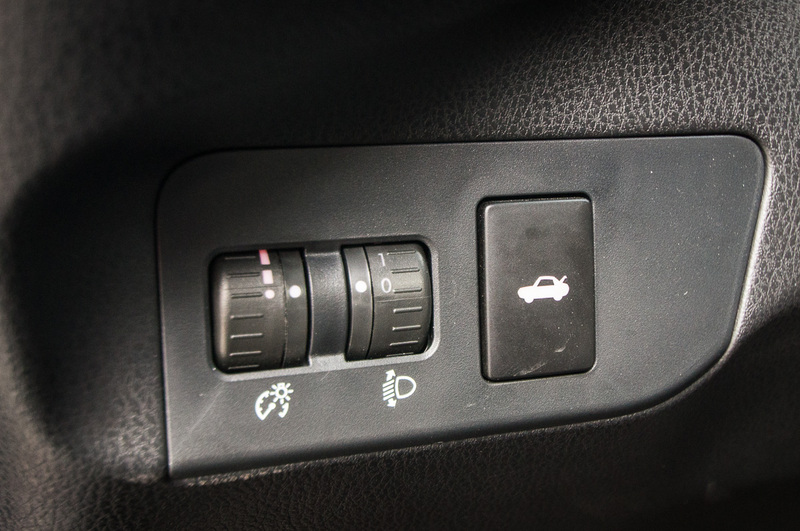 City fuel economy is rated at 10.9 L/100km, and highway economy is rated at 7.9 L/100km. 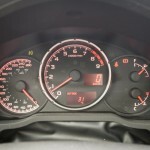 Observed economy in mixed driving was 8.3 L/100km. 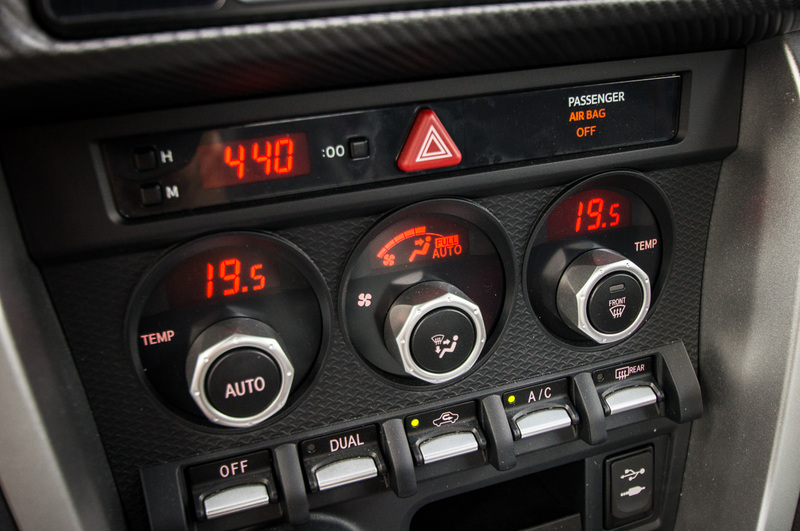 While these aren’t particularly bad numbers, they are hampered slightly by the short gearing and a frequent need for higher engine rpm. Overall, the 2016 Subaru BRZ Sport Tech is all about having a fun and soulful machine that all driving enthusiasts will enjoy. 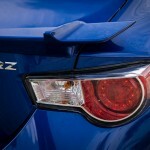 However, the as-tested price of $32,027 before freight and fees sends the BRZ into dangerous territory. 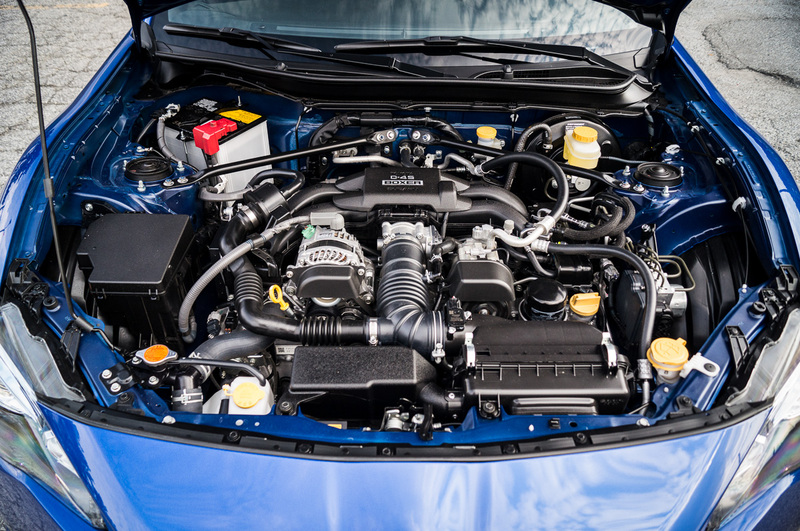 The new-for-2016 Mazda MX-5 Miata is right in this price point, and some argue it to be a better performer. 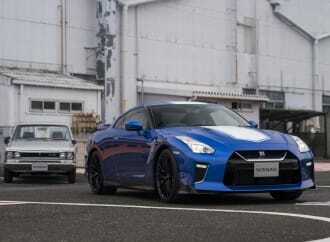 The Nissan 370Z, Hyundai Genesis 3.8 R-Spec Coupe, and the Ford Mustang V6/EcoBoost also come into play. 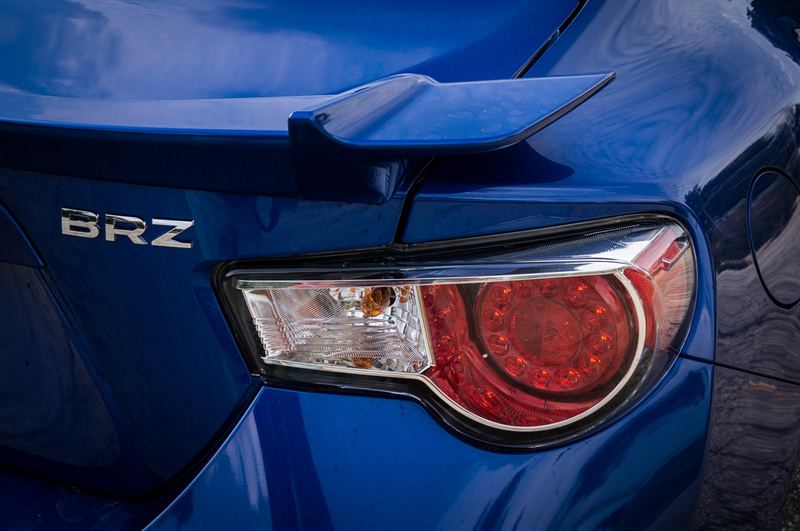 All three are not nearly as light on their feet as the BRZ, but do offer extra power to offset your troubles. 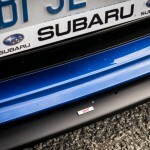 Think of the Subaru as a precise surgical scalpel, and its Nissan/Hyundai/Ford competitors as a ten-pound sledgehammer. 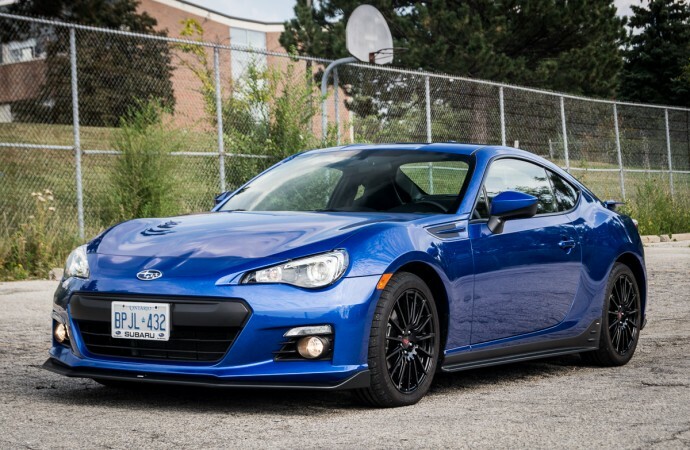 The base price of $27,395 ($29,395 for the Sport Tech) is the best value proposition for the BRZ, and is the right choice for drivers who value dynamics and road feel above all else.